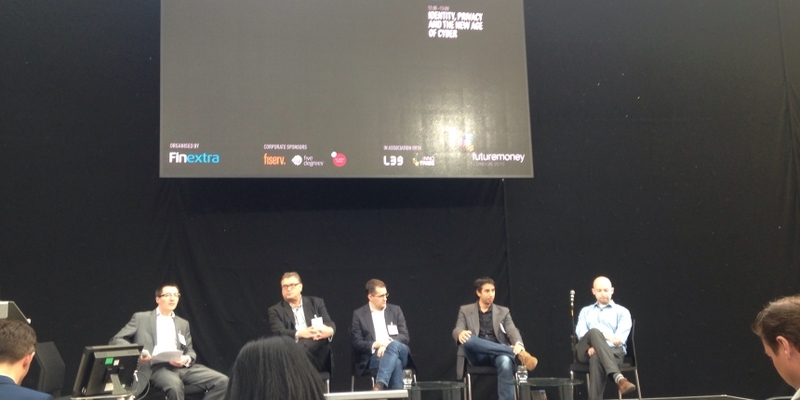 Bitcoin’s consumer appeal and the technical promise of distributed ledgers were hotly debated topics during yesterday’s FutureMoney event, held in Canary Wharf, London. The Blockchain and Beyond panel, moderated by Richard Brown, executive architect for banking industry innovation at IBM, consisted of Jon Matonis, founding member of The Bitcoin Foundation and prominent bitcoin advocate; Chris Gledhill, technologist at Lloyds Banking Group; Robert Sams, CEO of Clearmatics and Mark Smargon, founder of startup Colu. Brown kicked off the discussion with an attempt to reach consensus on whether digital ledgers such as the blockchain were superior to bitcoin as a currency. Matonis set out to defend bitcoin as a monetary unit, noting that the separation between the two was a “cliché”. He was also quick to disregard its unstable price, adding that markets for crude oil and silver were just as volatile. Smargon weighed into to the debate clarifying that the term bitcoin was fairly definitive, whereas blockchain continued to be somewhat vague. Despite initial optimism about bitcoin’s growth, Gledhill seemed to side in ‘camp blockchain’: “I talk to a lot of my peers and we all get really excited about the intricacies of how the blockchain works as a disruptive potential,” he said. With this in mind, the panel moved on to discuss consumer adoption. Gledhill said that the cryptocurrency space had yet to see “that killer app” that would set the tone for future use cases. Matonis countered that bitcoin adoption was not going to take place in the developed world. Instead, its real potential lies in parts of the world such as Africa or Argentina, he said, where monetary issuers are unstable and a large of part of the population is unbanked. One area of conversation focused on whether or not tokens on a blockchain will come to represent real world assets and obligations. Looking to the future, Colu’s co-founder said that bank hacks would increase, and that this security issue would drive the financial institutions to bitcoin. However, he added that existing technology was not yet sophisticated enough to overcome these issues. Gledhill seemed unconvinced by the proposal of a decentralised register being used to transfer money, although he did note that blockchain technology was a good way of tracking assets. He was also vocal about how the buzz around blockchain technologies had created a “real pressure” to take business cases and move them on to the ledger, sometimes unnecessarily. Brown’s panel was not the only time the buzz surrounding the blockchain appeared during the day-long event. Executives from some of Europe’s top banks, including RBS, Lloyds Banking Group, Intesa Sanpaolo and Santander, also discussed the disruptive potential of distributed ledger systems during a wide-ranging discussion on innovation in banking. Towards the end of the panel, moderator Mateo Rizzi, general partner at SBT Venture Capital, questioned whether banks have a fear of missing out rather than a “desire to embrace a radical change”. “Stay tuned because we will continue doing more things,” he concluded.